This month (April), Discovery got a new column in its report overview: Security Header Ratings!!!! The implementation is based on Mozilla Observatory. 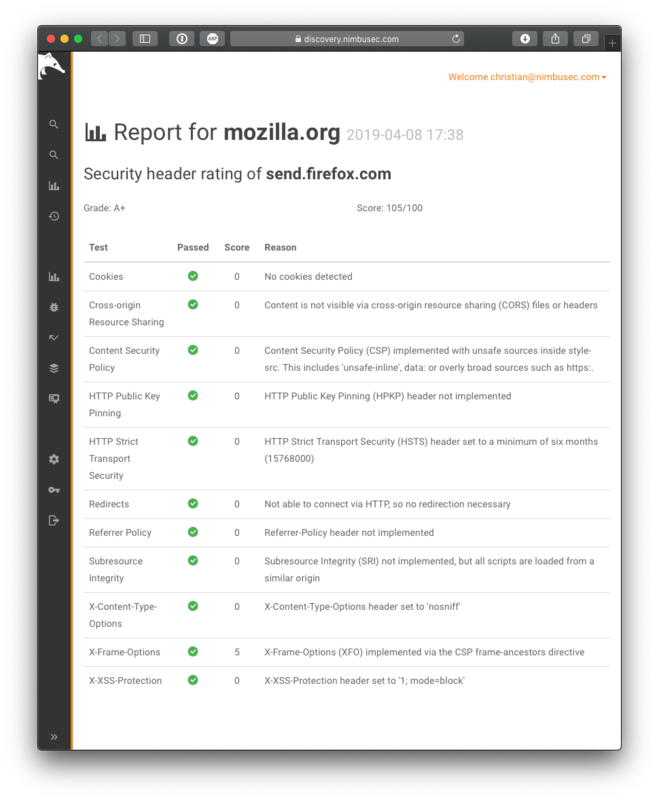 The detailed scoring is described in their Github repo: https://github.com/mozilla/http-observatory/blob/master/httpobs/docs/scoring.md. That means we stick to Mozillas rating and scoring method. Every scanned domain starts with a base score of 100. According to Mozillas scoring method points are added for special configurations or subtracted if they are missing or insecure.